To register to an existing account, navigate to https://www.23andme.com/start. If I purchased through an authorized retailer (Amazon.com, CVS Pharmacy, Best Buy, Sam's Club, Walgreens, Walmart, or Target), do I still need to register my kit barcode? If I purchased through a retailer, do I still need to register? Yes - absolutely! Kits purchased through an authorized retailer (Amazon.com, CVS Pharmacy, Best Buy, Sam's Club, Walgreens, Walmart, or Target) must be registered before you mail your sample back to the laboratory. The only way we can connect your kit’s barcode to you is through the registration process. Note: When purchasing through CVS Pharmacy, Best Buy, Walgreens, or Walmart, you purchase your saliva collection kit through the retailer, then pay an additional lab fee after registration. If you already mailed back your sample without completing registration or noting the barcode, the email address listed on the order will receive an email with your barcode once your sample arrives at our laboratory. Using the barcode provided in that email, you can register your sample at https://www.23andme.com/start. If your kit was purchased through CVS Pharmacy, Best Buy, Walgreens, or Walmart, a lab fee is required in order to receive reports. If the gift giver wishes the lab fee to be a part of the gift, he or she can provide you with a gift card in the amount of the lab fee* ($69 Ancestry Service or $169 Health + Ancestry Service) or be present while you register your kit. Learn more about retail kits. If the gift giver purchased the 23andMe Ancestry Service for you, you will have the option to upgrade to the 23andMe Health + Ancestry Service after you receive your reports. Learn more about 23andMe Service Options. 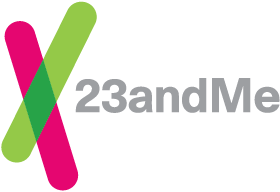 To learn more about using the 23andMe Service, visit our Getting Started with Your 23andMe Kit help article. *Sales tax is charged if the billing address is in Hawaii, West Virginia, or South Dakota. Yes - you can give an unregistered collection tube to someone else. It is only during the registration process that a collection tube is connected with a specific person. The new recipient can start the registration process by navigating to https://www.23andme.com/start. If you purchased through the online 23andMe store and mailed your sample before completing the registration process, you will be able to register your sample once it arrives at the lab. When your sample is received at the lab, an email titled "Action Required" will be sent to the email address provided when your order was placed. This email will contain the barcode from your collection tube, which you can then use to register online. Processing will not begin until registration is completed. If you purchased through an authorized retailer (Amazon.com, CVS Pharmacy, Best Buy, Sam's Club, Walgreens, Walmart, or Target), please contact us to learn your options. In many cases, a new kit and sample will be necessary. If you purchased through an authorized retailer (Amazon.com, CVS Pharmacy, Best Buy, Sam's Club, Walgreens, Walmart, or Target), please contact us to learn your options. In many cases, a new kit and sample will be necessary. If you try to sign up with the email address of an existing account, you will receive an email titled “Account Creation Attempt Made” which indicates that an account already exists. You will have the option of resetting your password by following the prompts in the email. Instead of creating a new account you will need to click Sign In located below the Register Your Kit box. Here you will enter your email address and password to login. You will then be able to register your kit.